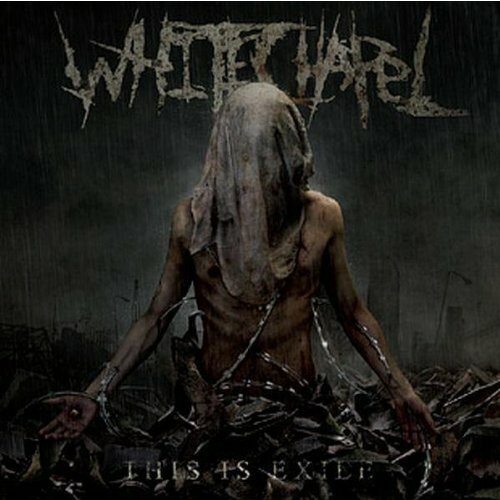 Whitechapel debuted the video for its latest single this week. The band debuted the video for the song ‘Hickory Creek,’ which is featured in the band’s new album The Valley. The powerful new video, which is in memory of Theresa Leslie Bozeman — front man Phil Bozeman’s mother — debuted Wednesday. The video follows what is inferred to be a young Phil and his mother following a violent motor vehicle collision following the pair’s fleeing from a seemingly very bad situation at their home. The song is just as dramatic in its musical approach, presenting a side of the band that has rarely, if ever, been displayed. The video for ‘Hickory Creek’ is just the latest video to premiere from The Valley. The band premiered the video for its most recent single ‘When A Demon Defiles A Witch‘ on Feb. 20. The band debuted the record’s third single ‘Third Depth‘ Jan. 15. ‘Black Bear‘ and ‘Brimstone‘ preceded its debut on Dec. 13 and Nov. 1 respectively. Produced by Mark Lewis (Cannibal Corpse, The Black Dahlia Murder), mixed by David Castillo and mastered by Ted Jensen (Alice in Chains, Norah Jones, The Eagles), The Valley‘s title is a reference to the part of the Hardin Valley (west of Knoxville, TV) where front man Phil Bozeman grew up. Guitarist Alex Wade explained in a recent interview that the album’s title and lyrical themes go a long way toward explaining what Bozeman endured during his years living in the Hardin Valley. Bozeman expanded on Wade’s thoughts, saying that the record offers much for audiences to appreciate. The full track listing for The Valley is noted below. The album is available now in a variety of formats, all of which are noted below. 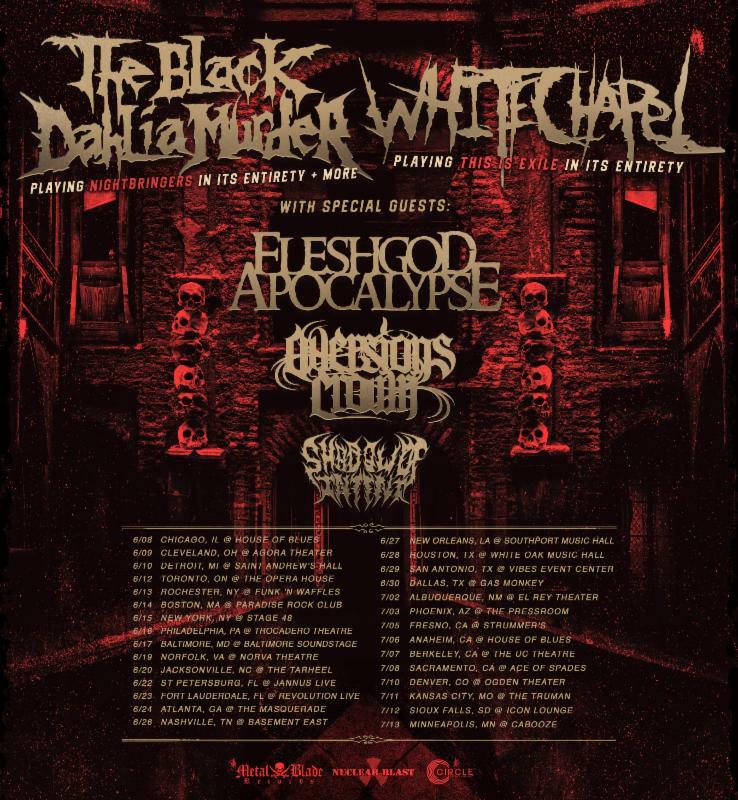 Whitechapel will tour in support of The Valley this spring starting Apr. 18 in Sayerville, NJ. The almost month-long tour is scheduled to run through May 17 in Winston-Salem, NC and feature performance dates in cities, such as Dallas, TX; Pontiac, MI and Berkley, CA. the tour’s current schedule is noted below. Whitechapel debuted the latest single from its new album this week. The veteran Tennessee-based metal outfit debuted the song ‘Third Depth‘ on Tuesday. The song’s musical arrangement stands out as its verses echo influences of Tool while the choruses are just as familiar, with the band’s trademark down-tuned guitars and gutteral growling from front man Phil Bozeman. Bozeman continues on in similar fashion as the song progresses, weighing his thoughts and emotions. ”Third Depth’ is just the latest single to be released from Whitechapel’s forthcoming seventh full-length studio recording. The album, which is scheduled for release March 29 via Metal Blade Records, has also produced the singles ‘Brimstone’ and ‘Black Bear.’ Both songs are streaming online here. Produced by Mark Lewis (Cannibal Corpse, The Black Dahlia Murder), mixed by David Castillo and mastered by Ted Jensen (Alice in Chains, Norah Jones, The Eagles), The Valley is currently scheduled for release March 29 via Metal Blade Records. The album’s title is a reference to the part of the Hardin Valley (west of Knoxville, TV) where front man Phil Bozeman grew up. Guitarist Alex Wade explained in a recent interview that the album’s title and lyrical themes go a long way toward explaining what Bozeman endured during his years living in the Hardin Valley. Pre-orders for The Valley are open now. The album will be available in a variety of formats, all of which are noted below. 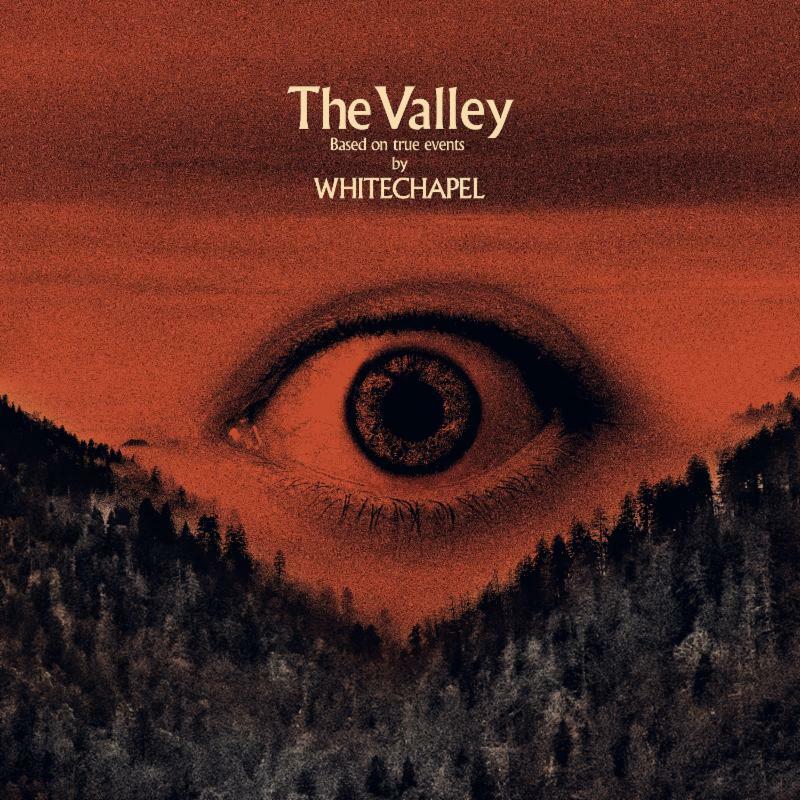 Whitechapel released the second single from its forthcoming album The Valley this week. The band debuted its new single ‘Black Bear‘ on Thursday. The song follows the debut of the album’s lead single ‘Brimstone‘ on Nov. 1. Whitechapel has announced the release date for its next album, and in anticipation, the band is giving audiences their first preview of the album. 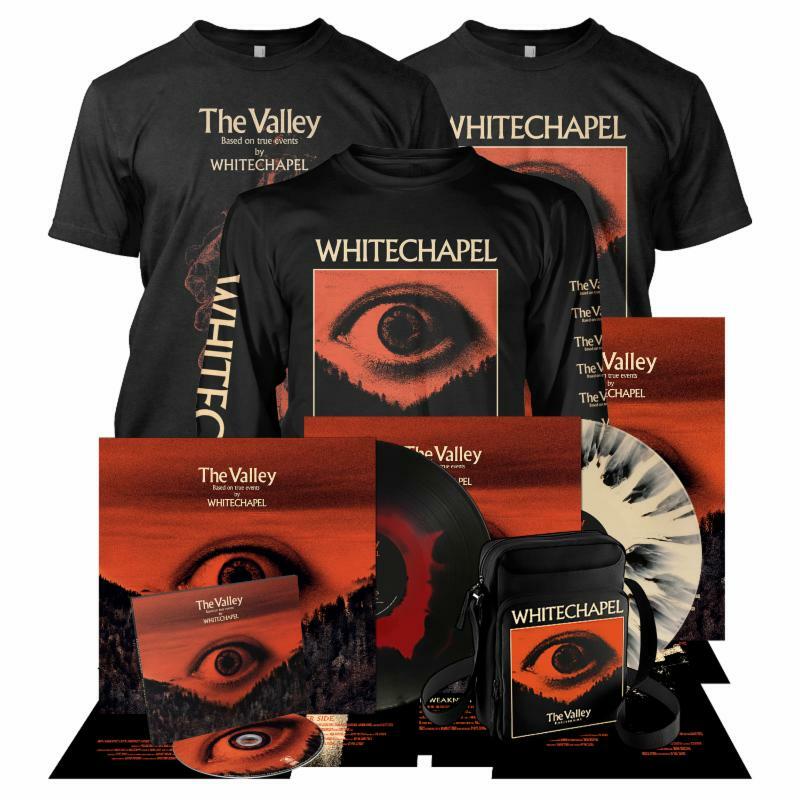 The Valley, the band’s seventh full-length studio recording is currently scheduled to be released March 29 via Metal Blade Records. In anticipation of its release, the band is streaming the record’s lead single ‘Brimstone‘ online now here. The Valley was produced by longtime Whitechapel collaborator MArk Lewis (Cannibal Corpse, The Black Dahlia Murder). The album’s title is a reference to the part of the Hardin Valley (west of Knoxville, TV) where front man Phil Bozeman grew up. Guitarist Alex Wade explained in a recent interview that the album’s title and lyrical themes go a long way toward explaining what Bozeman endured during his years living in the Hardin Valley. As audiences count down the days to the release of The Valley, they can also see the band live on its “Ten Years of Exile” tour, which is being held to celebrate the 10th anniversary of the band’s 2008 album This is Exile. The tour’s current schedule is noted below. Fans of Whitechapel and The Black Dahlia Murder are going to get a very special treat this summer. The Metal Blade records label mates will embark on a co-headlining tour that will see each play one of its albums in its entirety. The Black Dahlia Murder is expected to perform its latest full-length studio recording Nightbringers –released October 6, 2017 via Metal Blade Records — while Whitechapel will perform This is Exile — released July 8, 2008 via Metal Blade Records — in its entirety. That performance is in celebration of the 10th anniversary of its release. Joining Whitechapel and The Black Dahlia Murder as support for the tour will be Fleshgod Apocalypse, Aversions Crown and Shadow of Intent. The tour is currently scheduled to launch June 8 in Chicago, IL and run through July 14 in Oshkosh, WI. It will also include performances in Knoxville, TN; Boston, MA; Dallas, TX and many other cities. The tour’s current schedule is noted below. As an added bonus for Whitechapel fans, the band will re-issue This is Exile on LP on June 1 via Metal Blade Records. The band will also have available a special tour-exclusive edition of the album at the listed shows. The specs for the album’s re-issues are noted below. Pre-orders for the album’s LP re-issue are open now via indiemerch, EMP and eBay. Later this month, Prong will release its latest album to the masses, and the record, Zero Days, is one of this year’s top new hard rock and metal offerings. The record, the 12th full-length studio recording from Tommy Victor and his ever-rotating roster of fellow musicians, is everything that audiences have come to expect from Prong – heavy yet infectious riffs and grooves, and equally hard-hitting lyrical content. That is evidenced early in the album’s run in the form of ‘Divide and Conquer,’ which will be discussed shortly. The full-on thrash riffs and social commentary of ‘Forced Into Tolerance’ shows just as much as ‘Divide and Conquer’ what makes this record another enjoyable offering from Prong. It will be discussed later. ‘Self Righteous Indignation’ also serves, with its musical arrangement and lyrical content, why this record represents everything that Prong’s fans have come to expect from the band. It is hardly the last of the songs included in this record that serves that purpose, too. The record boasts 10 other songs that could just as easily be used to show why Prong has crafted another solid offering in Zero Days and why it is. The whole of the album’s 13 songs shows the album to be, again, one of this year’s top new hard rock and metal albums. Veteran hard rock outfit Prong’s latest album Zero Days is everything that Prong’s fans have come to expect from the band and then some. The album, Tommy Victor’s 12th album under the Prong moniker, utilizes a solid mix of musical arrangements and hard-hitting lyrical content to make it one of this year’s top new hard rock and metal albums. That is evidenced early on in the driving composition ‘Divide And Conquer.’ The melodic hard rock arrangement at the song’s center harkens back to some of the best songs included in the band’s 1996 album Rude Awakening and its forebear, Cleansing (1994). That is evidenced through the song’s straight forward guitar arrangement and Victor’s own vocal delivery style. Drummer Art Cruz’s own work behind the kit adds to that feel even more as does that of bassist Mike Longworth. The whole of those parts makes this arrangement one of the album’s best musical compositions. The songs’ lyrical content builds on the foundation created by the arrangement and strengthens the song even more. The lyrical content presented in ‘Divide and Conquer’ strengthens the foundation created through the song’s musical arrangement because it hits just as hard as the arrangement with its commentary. Victor sings in the song’s lead verse, “There’s no relief/There’s just regret/Want to forget/Just can’t believe/Really don’t want any part of that/Just another bad experience/For what’s positive or negative/Maybe it’s all just relative.” He and his band mates go on to sing in the song’s chorus, “You can’t go through life without these conditions/Divide and conquer/You can always rely on opposition/Face the sorrow/You can’t go through life without some division/Divide and conquer…” This comes across as a message about accepting the good and bad in life rather than just the good. This is of course only this critic’s own interpretation and should not be taken as gospel. That interpretation is made just as much as Victor sings in the song’s second verse, “You only see what you gotta get/You cannot get what you cannot see/Always forced into compromise/Always have to make the sacrifice/Things are not what they seem to be/Living in a false reality.” From here the song returns to its chorus before making its way to its end, reminding listeners that negative will always come with positive, and that people should expect both sides in life; that only seeing one side is close-minded. Again, this is only this critic’s own interpretation. Hopefully it is somewhere in the ballpark of being right. Regardless, it can be agreed by everyone that whatever the message, it definitely is hard-hitting. When that message is coupled with the song’s driving musical arrangement, the urgency of understanding the message is driven home even more, making this song both musically and lyrically a work that so many people (especially in today’s world) should hear, proving why it is such an important addition to Zero Days. It is not the album’s only stand out song. ‘Forced Into Tolerance’ is another of the songs that serves to show why Zero Days is another solid offering from Prong, despite what some critics might have people believe. ‘Divide and Conquer’ is one of the best examples of how much Tommy Victor and company have to offer audiences on its latest album Zero Days. Its driving musical arrangement and equally hard-hitting lyrical content couple to make the song a work that will entertain audiences while also leaving them thinking quite a bit. The impact from the song’s musical and lyrical content makes it only one of the album’s best additions. ‘Forced Into Tolerance’ hits just as hard as ‘Divide and Conquer.’ Just as with the aforementioned work, that is due in part to the song’s musical arrangement, which instantly conjures thoughts of Slayer, Hatebreed and others of that ilk. That speaks for itself. Considering that, the next step here is to examine the song’s lyrical content, which at least to this critic seems to be a commentary about the bigotry and racism that has become far too prevalent across the nation ever since the rise to power of the nation’s current “leader.” That is inferred right off the top as Victor sings, “Forced into tolerance of what we disdain/Being irrational is how we exist/Someone goes around and it makes no sense/They are labeled and then disgraced/Caught in the ignorance and try to explain.” He goes on to bring out the foolishness of the hateful views that are being expressed by singing, “I don’t care if you exist…Don’t f****** tell me it is what it is.” He goes on in similar fashion from here with the same musical and lyrical fire, indicting those close-minded masses of the nation (and the world possibly) pointing out the dangers of their views, and the foolishness of those views. It is a powerful statement both musically and lyrically that will be timely as long as such people and views exist in the world. Considering this, it is clearly evident why this song is so important to the overall presentation of Prong’s new album. It is not the last of the record’s key compositions either. ‘Self Righteous Indignation’ is yet another of the album’s most important songs. ‘Divide and Conquer’ and ‘Forced Into Tolerance’ are both key additions to Prong’s 12th full-length studio recording. That is thanks to the songs’ powerhouse musical arrangements and the equally hard-hitting commentaries contained within each song. The whole of those elements within each song makes each song a clear example of what makes Zero Days such a strong new effort from Prong. They are not the album’s only key works, though. ‘Self Righteous Indignation’ is yet another of the album’s most important works. As with the previously discussed songs, that is due in part to the song’s musical arrangement, which can easily be compared to works from the likes of Fear Factory, White Chapel and other similar acts with its heavy, crunching, down-tuned guitars, pounding drums and equally heavy bass line. Keeping this in mind, it is only one part of what makes the song stand out so distinctly from the record’s other tracks. The song’s lyrical content is just as important to note here as its musical arrangement. The lyrical content presented in ‘Self Righteous Indignation’ seems to this critic at least as a commentary about those people who think themselves so much better than everyone else. That is inferred as Victor sings in the song’s lead verse, “A victim/Of the system/Who gives a damn about your needs/Won’t listen/To criticism/Disgust for everyone who cheats/My heart is cold/I cannot pray/I can’t look way/What may unfold/Your dismay/Just total disdain/Self/Righteous/Indignation.” That seeming commentary continues in the song’s second verse as Victor sings, “No wisdom/So distant/A great sense of psychic grief/existence/Of symptoms/distaste for everything that’s cheap/It’s always known/All the demands/The helping hands/have no control/What you don’t have/Gets way out of hand.” Once again, this is all just this critic’s own interpretation and should not be taken as the only interpretation. It only seems to this critic that this song, lyrically, addresses those people who have that unnecessary God complex of sorts. Sadly, there are far too many people of this sort around the world, and if that is indeed what Victor is addressing here, he does quite the job of addressing the matter. Keeping that in mind, the song’s musical arrangement expertly couples with the power in the song’s lyrics and Victor’s own powerhouse vocal delivery. It delivers a message of pure anger aimed at those people in question; a message that, again if that is the intended message, definitely hits home in a big way, showing once more why this song is such a key addition to Zero Days. 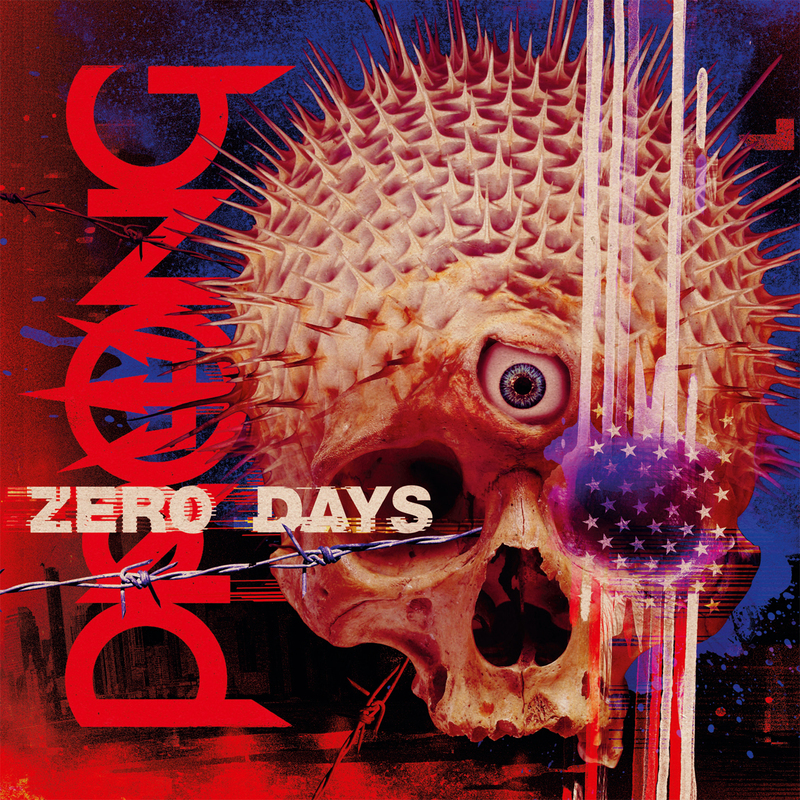 It is hardly the last of the songs that could be examined to show what makes Zero Days such a strong new effort from Prong. Any of the other 10 songs that fill out the rest of the album could be examined just as easily as this work and the previously discussed works. Considering this, the whole of this record shows Prong at its prime; a work that will definitely impress any of the band’s fans new or old. They make the record a work that deserves a spot on any critic’s list of the year’s top new hard rock and metal albums. Megadeth bassist Dave Ellefson does not rest easily on his laurels. The musician turned entrepreneur announced this week a new partnership with Pro Tone Pedals to create a new guitar pedal. 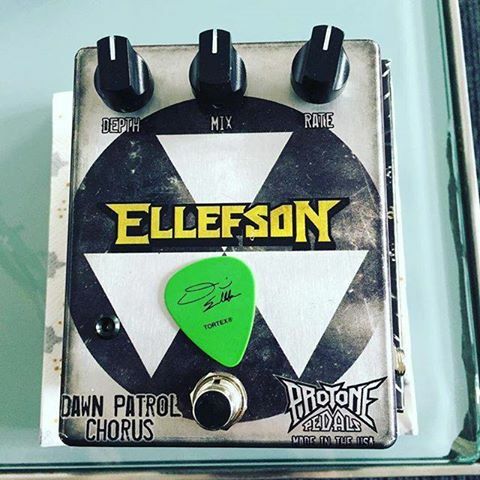 The pedal, dubbed the “Dawn Patrol Chorus,” came to being after Pro Tone Pedals representatives approached Ellefson and proposed the idea. Ellefson stressed the new, signature pedal will be a welcome addition to any bassist’s resources, adding he already used the company’s “Chorus” pedals when the organization’s representatives came to him with the idea. Ellefson’s new partnership with Pro Tone Pedals makes him just the latest name to make the company live up to its name. Animals as Leaders bassist Tosin Abasi and Reeves Gabrels use the company’s signature pedals. Jeff Loomis, Fear Factory, Alice in Chains, Prong, Deftones, Living Colour, Overkill, 30 Seconds to Mars and many others also use the company’s products. Pro Tone Pedals was founded in 2004. The company, now based in Charleston, South Carolina, has developed its reputation from making custom designed pedals. Its employees’ dedication to customer service has garnered it affiliations with the likes of Ozzy Osbourne, Arch Enemy, Whitechapel, the Cure, Fear Factory, Ministry, Prong, Overkill and others.